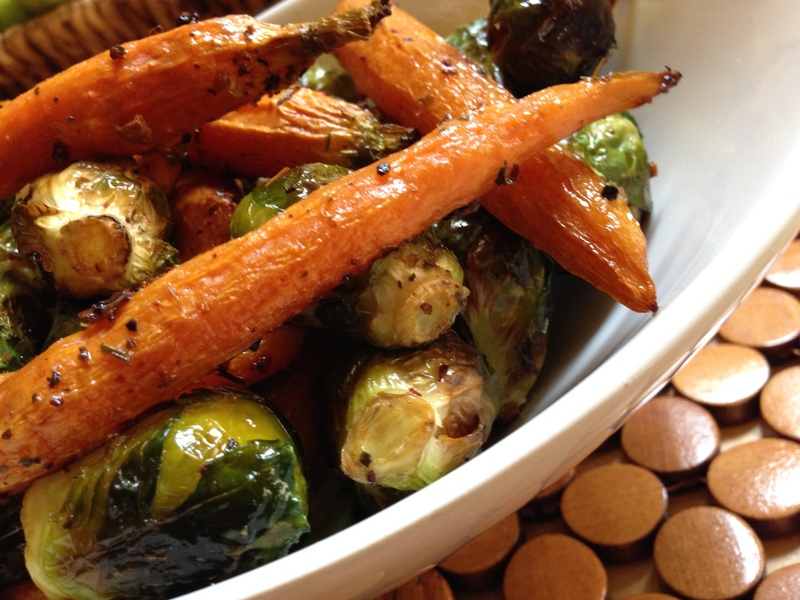 It is quick to make, bite size rosted vegetable, which you can use for as a side dish or even for a snack. 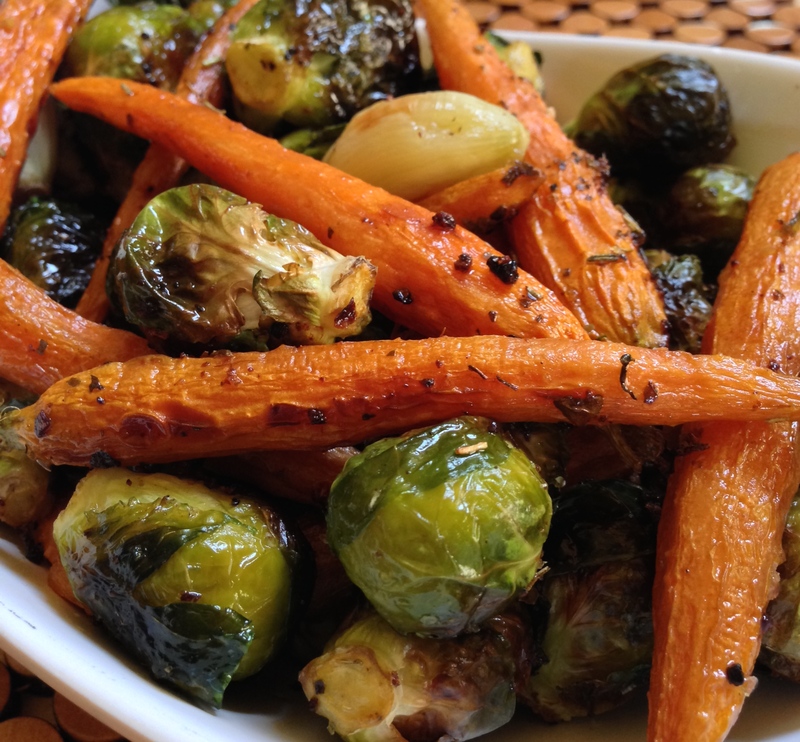 Mix Brussel sprouts and baby carrots in a bowl with the olive oil, salt and pepper and italian seasoning. 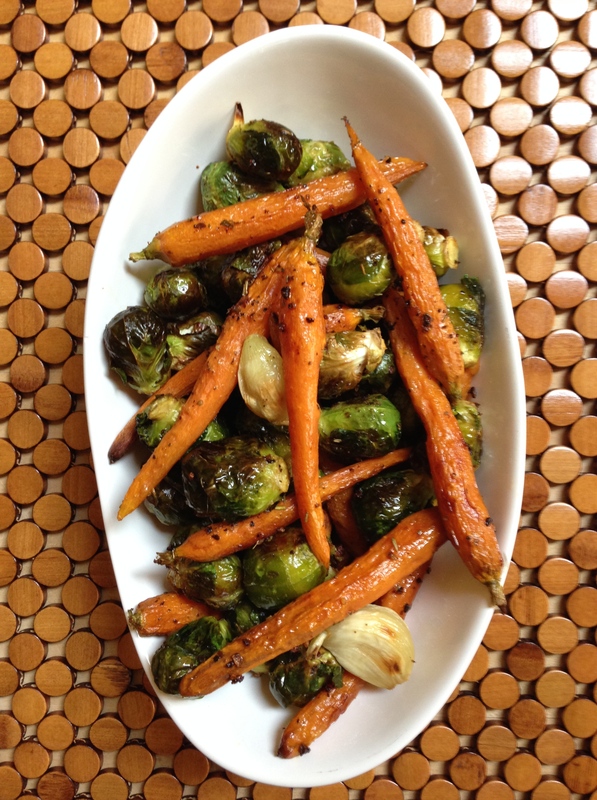 Pour them on a sheet pan and roast for 20-25 minutes, until crisp on the outside and tender on the inside. Shake the pan from time to time to brown the sprouts evenly. Sprinkle with more kosher salt , and serve.